In some circles, there’s still a tendency to talk about the cloud as an “emerging” design pattern and market for technology adoption. Well, don’t look now, but that “emerging” label expired some time ago. The cloud is already here in a major way. It’s time we collectively stop talking about cloud migration as an novel idea. Along with social, mobile, and analytics, the cloud is now a dominant presence in businesses’ technology adoption. Just a couple numbers: In 2014, 69% of enterprises had either infrastructure or applications running in the cloud. 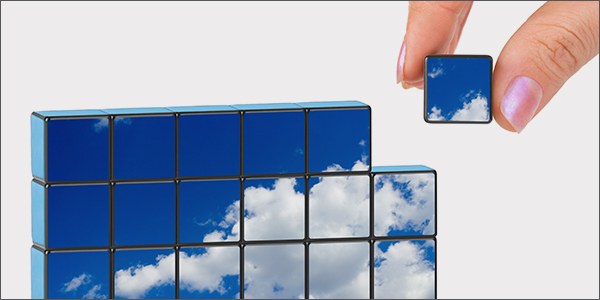 In 2015, a quarter of all IT budget allocation went to sustaining and expanding cloud solutions. And today, the adoption of cloud-based infrastructure has approached or surpassed the 50% mark. Stats like those show that cloud migration has moved well beyond the early adopters and has hit the mainstream of business technology use. Do figures like these apply to email delivery? (Spoiler: yes!) The cloud migration pattern is just as true for email delivery as it is for martech, CRM, and other markets known for early moves to the cloud. When a company has achieved scale, the difficulty of maintaining a complex messaging stack goes up dramatically. Failure in that stack, especially for companies whose revenue is highly seasonal, could be catastrophic. (For example, see the crisis faced by formerly soaring e-retailer Zulily when their email delivery infrastructure collapsed in the midst of the peak-shopping season.) When maintaining in-house infrastructure, any disruption—from minor changes to major outages—is likely to cause friction in the IT system by pulling engineers, sysadmins, and other technical personnel to address the problem. Most companies would rather focus their technical efforts on developing their own technology and supporting applications and infrastructure that deliver unique competitive advantage, not on operational issues like managing email in transit. A company experiencing tremendous growth will realize far greater benefits by focusing and managing their continuing business growth rather than investing enough money to scale their email provide redundancy for email-at-scale, deal with increased bandwidth costs, assigning more technical resources to the project, procuring servers, and ensuring stability. These functions can all be outsourced far more cost-effectively to a provider who knows serious email inside and out. The cloud’s elasticity allows companies not only to scale and keep pace with growth, but also to have on-demand burst capacity available whenever it’s needed and guaranteed through SLAs. The only way to achieve this in the past was to overbuy hardware, bandwidth, software licenses, and development time—and then to have it sit idle just in case it was needed. That underutilization is a very inefficient use of resources. Ensuring the ongoing success of marketing email programs and critical transactional message streams alike requires the constant attention and operational expertise of email deliverability personnel. Deliverability staff monitor, configure, consult on best practices, triage in times of crisis, and remediate deliverability failures that are bound to arise during the normal course of messaging operations. These highly skilled professionals help companies navigate a complex landscape of varied privacy laws, bounce codes, blacklists, and other highly email-centric nuances that can prevent revenue loss and improve customer engagement by ensuring the timely delivery of email to the inbox. Ultimately, the cloud has created new financial incentives that are improving its adoption, and pay-as-you-go models have encouraged rapid evolution, adoption, experimentation, creativity and testing. Freemium pricing encourage businesses to innovate and to take platforms in ways we’ve never dreamed. Cost savings and innovation? Yes please. ROI like this makes it clear why cloud migration has become such a key part of the plan for all sorts of businesses. P.S. Want to learn more about the bottom-line benefit of cloud migration? Check out “Why the Cloud Wins,” our real-world analysis of why a business that sends 750 million emails a year can save up to 40% by migrating their email infrastructure the cloud.